Accessorize For Summer at A Passion for Living! Summer has finally arrived! One of the greatest parts of summer is accessorizing appropriately in all aspects of your life. The two hottest trends this summer are bright home décor, and brilliant jewelry! A Passion for Living could not be more delighted about the arrival of this warm season. To celebrate the arrival of this wonderful season we have put together a list of ways to help your home, and yourself accessorize accordingly for the arrival of this luminous season. #1: Incorporate the sun into your interior design using bright home decor accessories. Right now it’s all about the warm tones. Summer is all about savoring the sunshine. So why not add a splash of sunshine into your living space. 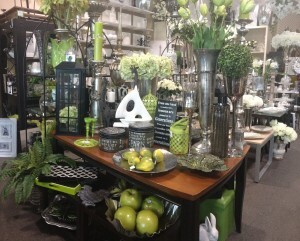 It’s easy to add a splash of colour into a room with a bold orange, yellow, or lime green accessory. It can be as simple as adding a bold coloured pillow, candle or vase into the center of your design. This allows for an easy update to your space, and can be seasonable changes as often as you please. If you’re not fond of bright colours, add a fun statement piece with a dauntless design. The summer is all about complicated patterns, and small details. A Passion for Living has many eye-catching pieces that will give your interior home designs a new element of summer-fun! #2: Let yourself shimmer in the sunlight. The sun comes out to play with us finally during July & August in Burlington, Oakville & Ancaster! Welcome it with some sparkling jewelry. The greatest thing about the sun is how is radiates and makes everything it touch glow! 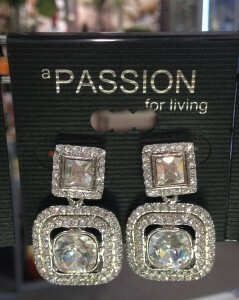 A Passion for Living wants to provide you with some beautiful sparkling pieces that will make any lady glisten! Wearing some glittery sliver accessorises in the summer will pick up the rays of the sun and make your accessorize positively glow! Even if you’re headed out for an evening event when the sun goes down, throw on some sparkle and you’ll become the sun! This summer is all about the dazzle! A Passion for Living had many dazzling accessories including: necklaces, earrings, bracelets & more! So this summer whether you are seeking the perfect home decor accessory to brighten up your summer living space, or seeking some summer-fun jewelry come into A Passion for Living. Our style experts, & home decor specialists will be able to assist you in adding some bright summer tones into your life. We are conveniently located in Oakville, Burlington and Ancaster to better serve you.